When I tried to set up my YouTube account on my new Apple TV and wanted to open my favorites, everything I got was: “No content was found. There is a problem communicating with YouTube. Try again later.” There is another post and a lot of people around the world is having the same problem. It seems a worldwide problem. Any advice on what to do? Thanks! Apple TV users can now view streaming YouTube videos on their television. However, a handful of Apple TV users have reported problems regarding YouTube on Apple TV, One growing thread at the official Apple Support Communities relates to an issue on watching YouTube videos on Apple TV. If you want to download and play YouTube videos on Apple TV, iFunia YouTube Downloader is the all in one YouTube downloader for you to download YouTube videos directly to your Mac drive, and let you select the output video files as Apple TV supported format. This article will show you how to download and play YouTube on Apple TV step by step. Download iFunia YouTube Downloader for Mac and open the tool. Drag-n-drop the video thumbnails to the program main interface. And you also could add multiple urls via click “File” -> “Input URLs”. The URL looks like: http://www.YouTube.com/watch?v=uTJAsZP2iLk. After the URLs have been added, iFunia YouTube Downloader will analyze the urls immediately. And then you can select the downloaded video formats such as MP4, which is compatible with Apple TV. What’s more, you are able to choose the video quality as 1080p HD video or 720p video to watch on your Apple TV. After all the settings have been done, click “Download” button and start your magic YouTube downloading now. The download timing depends on your internet boardband. After you have downloaded the videos from YouTube, you can locate the downloaded video in “download” file folder on your Mac. Now, let’s transfer YouTube videos to Apple TV, then it is now ready to play and watch YouTube videos on your widescreen TV any time with your relatives, family, and friends. Besides Apple TV format, you can also share your downloaded YouTube files with your friends in any of their Apple mobile devices, such as iPad, iPod, iPod classic, iPod Touch, iPhone, and many more. This YouTube downloader is applicable to any of Mac users like iMac, Macbook, Mac Pro, and Mac OS X. Not only ATV. I’m having issues with iPhone and iPad too, either on embedded Youtube frameworks or on iOS Youtube native application. 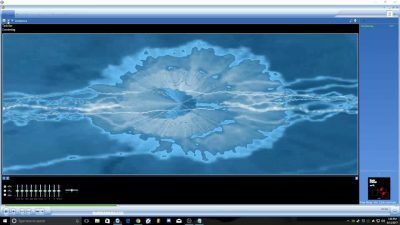 Videos fail right from the start or are played dark (sound and not image). i really don’t get why any one would want to showcase a youtube video on a tv. When I got home last night and turned my HDTV on and switched it over to my Apple TV there was a message asking me if I wanted to upgrade it. This happened without any input from me. I then spent the next five hours watching weird You Tube videos. It’s like slowing down and straining to see a bloody gory accident as you drive by.